Give your highlight a dose of skincare. 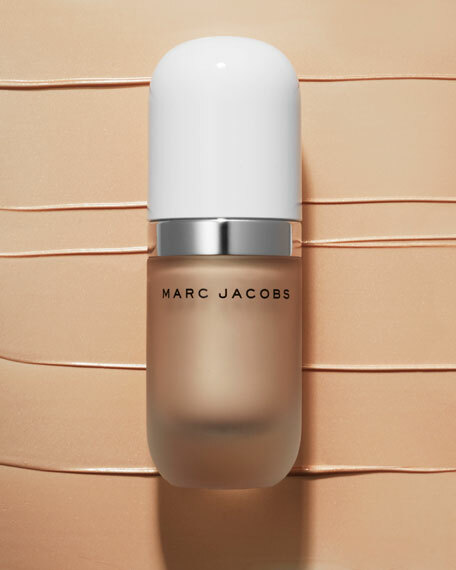 Inspired by Marc Jacobs' love of coconut water and the glow of youthful-looking, radiant, well-hydrated skin, this gel-cream is best for instantly lighting up the complexion. Directly highlight skin or blend this concentrated luminizer with foundation and primer to transform them into illuminating elixirs. 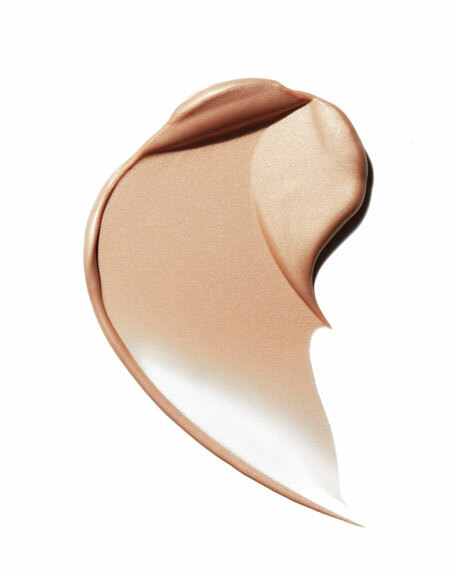 A little goes a long way: This gel highlighter builds for the ultimate sheen, and the sensual, golden-peach hue flatters all skin tones with warm radiance. It's formulated with five forms of coconut and provitamin B5 to help hydrate and nourish skin. Coconut alkanes: Help with longer wear. Coconut water: Provides refreshing electrolytes. 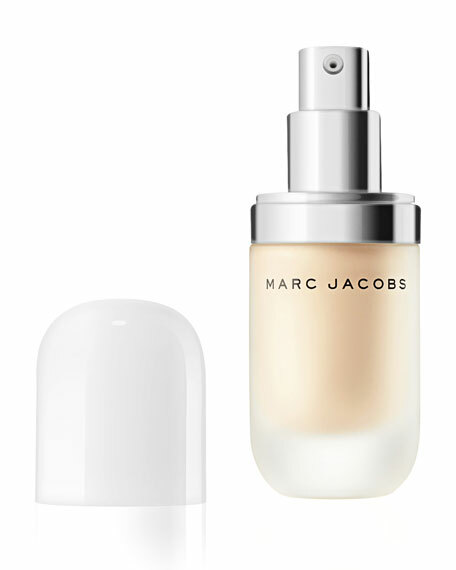 Apply one-to-two pumps of Dew Drops directly to the complexion or under or over foundation, for an elevated glow. Use your fingers or a brush to achieve the desired effect. 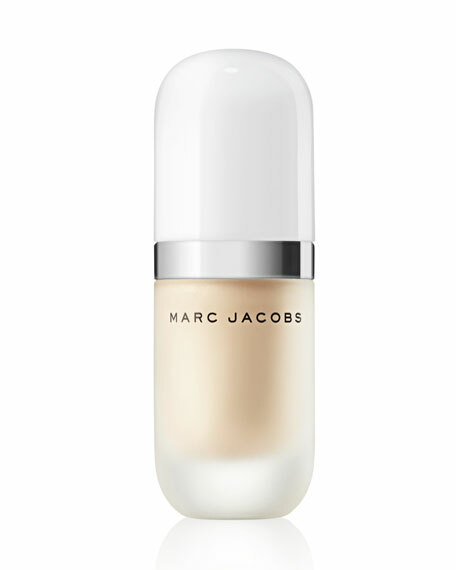 You can also mix Dew Drops into Under(cover) Primer or Re(marc)able Foundation to create a luminous complexion.